THE SYNTHETIC DREAM FOUNDATION "they who breathe darkness"
The ticket includes free entry to the show and a FREE three course meal. It is the pre-launch party, a full dress-rehearsal the night before the main Opening event. All they want in exchange that we tell our friends they are coming to town. My friend is bringing his show to London in December and is running on facebook FREE tickets for the first 400 for opening night. 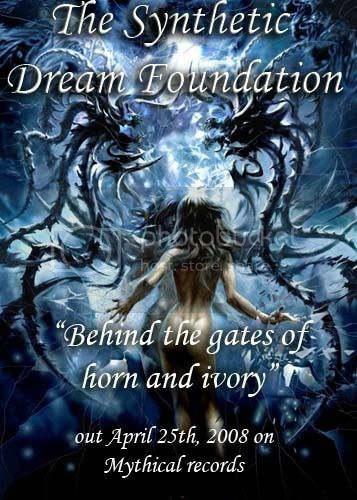 05:46 pm - The synthetic dream foundation "Behind the gates of horn and ivory"
The synthetic dream foundation has a new album, entitled "Behind the gates of horn and ivory" coming out at the end of this month. The sound clips on their site sound phenomenal. Anyone else had a chance to listen to the sample mp3s yet? I think this is going to be the best TSDF album yet. 01:04 pm - The synthetic dream foundation! 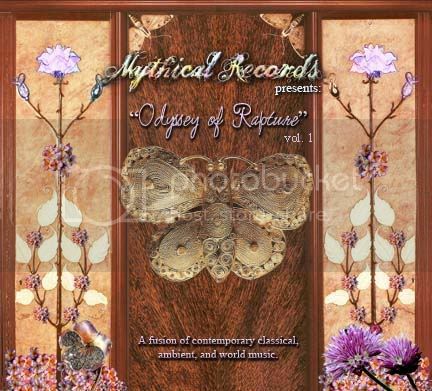 The synthetic dream foundation has a track on their myspace page, called "Mordor". Does anyone know an album I can find this track on? thanks. Issue 4 is almost done ladies and gentlemen. I just made a community for all South African rock fans in general so that poeple who live here can socialize with other South Africans with the same musical inclinations. We trust your year kicked in with great things. TERMINATRYX closed 2006 on a couple of high notes. The first was in late September when they traveled to Europe to perform live at Popkomm in Berlin, Germany. Here they were joined on additional 8-string bass guitar by V.O.D's Diccon Harper. Then, the night before Halloween there was their live original soundtrack performance to the 1922 vampire classic Nosferatu at the South African HorrorFest - www.HorrorFest.info <http://www.horrorfest.info/> . They were joined in front of a packed house below the big screen at the Labia Theatre (Cape Town) by collaborators Simon & Sean from LARK, Francois from V.O.D & KOBUS!, and Matthijs from Dawn Treader. It was an amazing evening. TERMINATRYX kicks off 2007 with a performance at RAMFEST 2-3 March, near Worcester, Cape Town - www.audiomatik.co.za <http://www.audiomatik.co.za/> . TERMINATRYX will close this exciting weekend festival at midnight on Saturday the 3rd - the video screens will be well utilized. Other great acts performing at RAMFEST include Lark, Battery 9, Fokofpolisiekar, The Awakening, Mind Assault, The Horror Cast, Scarlet Host, Real Estate Agents & many more. See Audiomatik website for details on directions, tickets, camping etc. TERMINATRYX is aiming to have their debut album finished by mid-2007.